These days, it’s easy to feel like the world is a depressing place where nothing good ever happens. Bombs explode, wars trundle on, politics gets more polarized, and the future looks as black as can be. No wonder we wake up each morning reaching for the Xanax. But not everything has to be a non-stop horror show of mind-numbing misery. In the shadows of the natural world, far away from where headline writers’ prying eyes can glimpse them, a number of animals have been undergoing a remarkable resurgence. Even as we devastate the environment in places like Indonesia and China, we humans have gradually been helping select species tiptoe back from the edge of extinction. Desperately need proof that not everything is doom and gloom? Look no further. The giant panda is the poster boy for endangered animals. Literally. 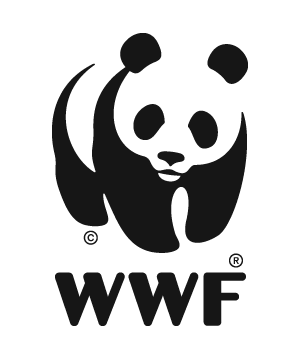 The World Wildlife Fund (WWF) use an image of a panda in their logo. Know what else the giant panda is? Not even close to going extinct. As of September 2016, the most-famous endangered animal on the planet is no longer actually endangered. When the WWF first picked the panda for their logo in 1961, the species had nearly vanished. Although a handful of wild pandas remained, they were so rare conservations had no idea how many were actually left. It took decades to reverse their decline. First, poaching had to be cracked down on, before some douchenozzle hunter could blow away the last panda in the hope of making a quick buck. Second, a whole load of wildlife reserves had to be set up to protect their habitat. China today has 67 panda reserves, protecting 14,000 square kilometers of habitat. Thanks to all this effort, panda populations have been growing at an encouraging rate. By 2004, there were around 1,500 living in the wild. Fast forward to today, and that number is over 2,000. While the giant panda is still on the ‘vulnerable’ list, it is thankfully no longer teetering on the brink of extinction. 90 percent of you just saw the name ‘Chatham Petrel’ and said something along the lines of “Whaaaaaa?” The remaining ten percent are from New Zealand and know exactly what we’re talking about. A bird species native to the remote Chatham Islands, an archipelago some 650 kilometers east of Wellington, the petrel is found nowhere else on Earth. And that’s a problem, because the Chatham Islands have a new kid on the block: the broad billed prion. If you don’t know the prion already, it’s the kind of hipster-bird that likes to rock up in a neighborhood, scoop up all the affordable property, and probably open a craft beer joint or two. But while human hipsters doing this merely breed resentment, the prion leaves the petrel nowhere else to go but the grave. With its nesting sites stolen, the petrel dies. It dies so hard that, in 1995, its population numbers dropped to a mere 600. Thankfully, New Zealand’s birders are nothing if not inventive. Faced with this looming petrelgeddon, they simply gathered the birds up, took them to a new island without prions, and left them there to get on with it. As of 2015, the petrel’s numbers were sufficiently restored to downgrade it from endangered to vulnerable. It’s not often that we celebrate the survival of a murder machine that could tear us limb from limb, but the Louisiana Black Bear is different. For one thing, it’s a unique subspecies that’s celebrated as the state animal. For another, it also gave us a template for children’s plush toys for decades to come. The Louisiana Black Bear is where we got the name “teddy bear” from. This is thanks to a now largely-forgotten incident involving President Theodore Roosevelt. In 1902, Roosevelt decided he was gonna shoot a black bear in rural Mississippi. Roping in an expert bear killer named Holt Collier, who had killed over 3,000 bears, the President set off on a hunt that lasted a stupid amount of time. With Roosevelt unable to find a bear, his assistants eventually got hold of an injured one, tied it to a tree, and invited the President to shoot it. Roosevelt refused, saying it was unsportsmanlike. When news of the incident reached the capitol, a cartoonist for the Washington Post drew an image of the President refusing to shoot an adorable, fluffy little creature. The public went nuts for the image, leading to sales of toys based on it. The teddy bear was born. Nonetheless, the Louisiana bear itself nearly went extinct. In 1992, only 150 remained in the wild. Two decades of conservation efforts have since boosted the population to over 700. In 1967, the Federal Government passed something known as the Endangered Species Preservation Act. The first legislation of its kind in the US, the act required states to list animals in danger of dying out and make some kind of effort to save them. Consisting of 77 animals, the original list read like a roll call of the nearly-dead and dying of America’s fauna. Near the very top of it sat the Delmarva Peninsula fox squirrel. A large gray squirrel, the fox squirrel had been led to the brink of extinction by intense logging and overhunting. By the time it was protected in 1967, its range had dropped to 10 percent of what it had once been. Its survival chances weren’t helped by the fact that its habitat was almost entirely on private land, and stretched over 3 different states (Maryland, Delaware and Virginia). If there’s one thing harder than herding cats, it’s getting home owners in three different states to turn their lives upside down just to save a tree-based rodent. Yet that’s exactly what happened. After nearly five decades of concerted effort, fox squirrel numbers had bloomed to over 20,000. They now inhabit 28 percent of the peninsula, and are expanding all the time. On the cold, rocky shores of western Alaska, lives one of America’s greatest native creatures. The Steller Sea Lion is a huge beast, a gigantic mess of blubber and fur bigger and blubberier than even yo momma. Able to range down as far as central California – a distance we decided is best expressed as a lot – it’s a species that is impressive in every sense of the word. Yet it wasn’t always this way. As recently as 1990, the National Ocean and Atmospheric Administration (NOAA) was convinced the steller sea lion was about to go extinct. At the time, the Steller Sea Lion population had been hit hard by centuries of hunting, repeated environmental disasters, and crashes with trawler ships (which hit them hard enough to turn them into mulch). It also seemed unlikely they’d ever recover. When an animal lands on the NOAA Fisheries endangered list, it generally only comes off by actually going extinct. Prior to 2013, only one species had ever recovered enough to be removed, when the North Pacific gray whale unexpectedly bounced back in 1994. Well, to that small list, we can now add the Steller Sea Lion. In 1979, there were only 18,000 left. By 2010, there were over 70,000. With the population growing by over 4% each year, it seems likely that the Steller Sea Lion has now been permanently saved from extinction. The Arabian Oryx has the dubious distinction of being the only animal on our list to have actually gone extinct. In 1972, some nameless jerk took his rifle and shot the last one, killing the entire species stone dead. And that was it for the grand, stately beast that had once ruled the vast desert wastes of the Arabian peninsula. Or, at least, it should have been. But, for once, fate was smiling on a dying species. As the population dwindled, a few ultra-rich princes in Saudi Arabia, Qatar, and Abu Dhabi had taken a handful of the beasts to keep as curiosities in their royal collections. At the time, this probably seemed like a total douche move to those trying to preserve the wild population. But with all wild oryx dead, having a few spare in captivity no longer seemed such a bad idea. In 1982, Oman created a special reserve to get these oryx breeding again. Fast forward to today, and there are now over 1,000 oryx living in the wild. It probably helped that the oryx was a symbol of ancient significance on the Arabian peninsula. Long used for their ability to smell water from several kilometers away, it was seen as a matter of regional pride to revive the noble creature. We doubt this would’ve been the case if it had been the Arabian Fartworm that wound up going extinct. The turnaround in the fortunes of the Lake Erie Water Snake is nothing short of incredible. In 1999, it was considered so endangered that the US Fish and Wildlife Service listed it as on the brink of extinction. By 2011, a mere 12 years later, its population had rebounded enough to remove it from the list altogether. That’s such a crazy-quick recovery that we almost feel like a mistake must’ve been made somewhere. Native to Lake Erie (duh), the Lake Erie water snake has the double-misfortune of living near wasteful humans, and looking like a nightmare monster that people instinctively want to kill. Honestly, the number one reason the FWS listed for its plummeting population was humans seeing it, freaking out, and killing it with anything they had to hand. Yet, despite looking like something that comes crawling out a newly-opened vault in the final act of a horror film, the Lake Erie water snake is actually pretty harmless. Just don’t go putting anything dangling and sensitive in their mouths and you should be fine. So now we come to probably the most-controversial cast member in our little eco-review, the North American gray wolf. A proud creature that roams the back forests of the USA, the gray wolf was placed on the endangered list way back in the 1970s, and stayed there for the next 35 years. In 2011, the US FWS announced that the wolf had rebounded, with over 5,500 now living in the contiguous United States. It was at this point that things really began to heat up. The declassification of the gray wolf was contingent on the FWS reclassifying eastern gray wolves as a separate species. However, a scientific study claimed that there was no evidence to back this up. Things grew quite heated; to the extent that an argument about species sub-classifications can ever be said to get heated (like, we’re pretty sure blows weren’t exchanged). This scientific spat aside, it’s beyond doubt that the gray wolf has seen something of a resurgence. Once hunted almost to extinction, they are now finally creeping back into the forests of the USA. From the point of view of the Brown Pelican, the entire mid-20th century was little more than a protracted attempt by human beings to kill all its relatives off as quickly as possible. As pesticides became more and more common in the US, farmers and government workers began spraying just about everything that moved with DDT. Harmful to humans, DDT was nothing short of an apocalypse for brown pelicans. The poor birds ate poisoned fish, got sick, and died with alarming rapidity. Those that survived started laying eggs with thin, useless shells. These shells cracked at the slightest movement, killing the unborn chicks inside. As a direct result of this global pesticide party, the brown pelican’s population numbers went into a tailspin. By 1970, they were endangered. Thankfully for humans and pelicans alike, the use of DDT became pretty taboo by the mid-70s. Eventually, the US banned it altogether, with the sole exception of using it to combat malaria. Its habitat no longer coated with poisonous chemicals, the brown pelican was able to rebound. Finally, in 2009, the FWS removed it from the endangered list altogether. A few centuries ago, life was looking pretty sweet for the Indian rhinoceros. The great beast roamed the entire north of the subcontinent, from modern Pakistan to Bangladesh, via Bhutan. They numbered in the hundreds of thousands, if not the millions. They were big, impressive, and seemingly unstoppable. Then, in the early years of the 20th century, big game hunters decided they’d make perfect trophies. Within 70 years, this once-robust population had been reduced to a mere 600. Come 1975, the rhino was extinct in Bangladesh and Bhutan, and going that way in India. It was only by a phenomenal effort that the decline was stopped before they were wiped out altogether. Habitat protection and anti-hunting laws were beefed up, and heavy penalties brought in for any poachers caught trying to bag themselves a rhino. For a while, things were tough. But, eventually, they began to improve. By 2008, the rhino population was back at 3,000. Not exactly staggering, but a heck of a lot better than 600.
ummm… it’s Lake Erie and all…. The gray wolf is not only no longer endangered, it is over populated and moving into territory it doesn’t belong in. Gray wolves are devastating the moose population in places like northern Minnesota. Now they are moving into the plains and starting in on the deer population. So what did we really accomplish? And what’s so great about the deer population? Many farmer suffer more economic loss from deer browsing their field and crops than the occasional wolf or coyote taking down a cow or two. And in most states, the deer population itself is allowed to grow almost unchecked — so that the various state departments of Natural Targets … sorry, departments of Natural Resources … can literally sell them for slaughter to the armies of “Great White Hunters” who don their blaze orange coveralls and take to the woods for a 10-day period of ‘managing’ (or as it is sometimes called, ‘harvesting’) the deer herds. THAT’S why people in the Midwest are down on wolves; they prevent some downstate Bubba with his AR-15 and his shiny new, fully-chromed, almost-never-leaves-the-pavement 4WD pick’em-up truck from “getting his deer” that he paid that license money for. Anywhere they spread is there territory, we took over there land. There would be more than enough moose if we hadn’t killed them all in the first place.